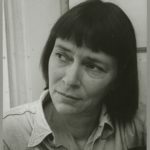 Barbara Deming was an American feminist and advocate of nonviolent social change. "Vengeance is not the point; change is. But the trouble is that in most people’s minds the thought of victory and the thought of punishing the enemy coincide." "We believe, in fact, that the one act of respect has little force unless matched by the other – in balance with it… The acting out of that dual respect I would name as precisely the source of our power." "Our task, of course, is to transmute the anger that is affliction into the anger that is determination to bring about change. I think, in fact, that one could give that as a definition of revolution."